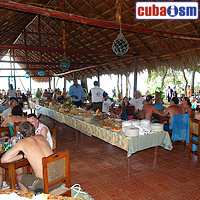 Holguin has several hotels available for tourist, we recommend Hotel Playa Costa Verde, Hotel Brisas Guardalavaca, Hotel Playa Pesquero, Hotel Rio de Oro, Hotel Sol Rio de Luna y Mares, Hotel Villa Pinares de Mayari, Hotel Playa Turquesa and Hotel Villa Don Lino. 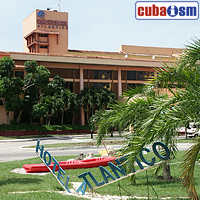 The 3 star Hotel Club Amigo Atlantico is located on the front line of the beach. 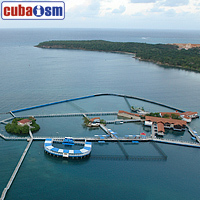 It operates under the All Inclusive system and is situated at a distance of 62 km from Holguin international airport. 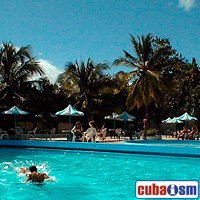 Hotel Atlantico Guardalavaca offers a wide range of services and recreational options. 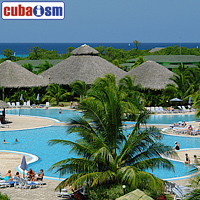 Here you can check hotel availability and make a reservation. 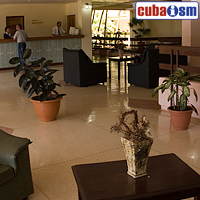 Click here to get more information about this hotel. 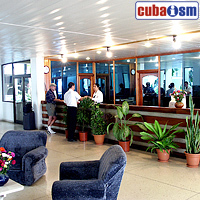 Hotel Pernik, 3 stars rate and located in Holguin city, is the better known of the city and it is characterized by its sobriety and the elegance in the decoration, as well as for the functionality of its spaces, in addition to the comforts of its wide rooms. Located not far from downtown section of the city, in a quiet green area. 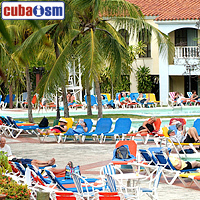 Holguin City's squares are many and grand; and are charming, peaceful and buzzing depending on the time, and day of the week. It seems too that hardly a week goes by without some kind of festival or event. 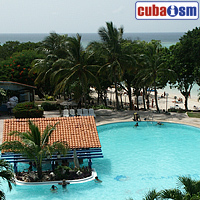 Here you can check hotel availability and make a reservation. 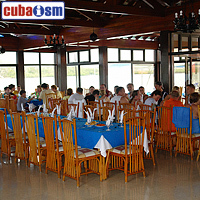 Visit our website Hotel Pernik for a detailed information. 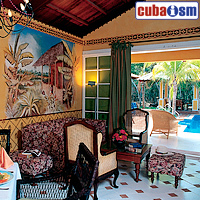 This delightful villa surrounded by Cuban flowering plants is strategically located to give you a fantastic view. From here, you can see mile upon mile of fertile plains, which impart a great sense of tranquility. 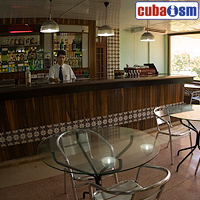 Friendly service and pleasing decorations give the villa a truly Cuban ambience. 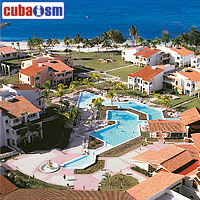 Here you can check hotel availability and make a reservation. 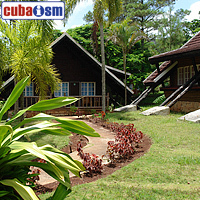 Hotel Gaviota Villa Pinares de Mayari is a simple 2 star property situated in La Mensura National Park, which is part of the Nipe-Cristal mountain region, in north-east Cuba, about 110 kilometres from the city of Holguin. 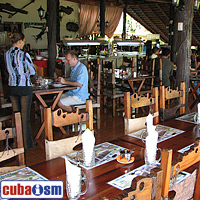 Hotel is 600 metres above sea level, surrounded by pine forest and has a spectacular view of the Nipe – Cristal mountain region. 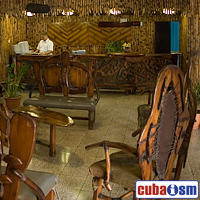 Hotel Pinares de Mayari is fully Cuban owned... 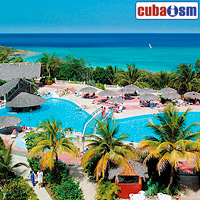 Here you can check hotel availability and make a reservation. 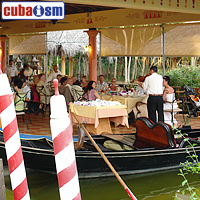 Visit the Villa Pinares de Mayari for a detailed information. 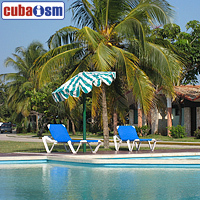 Near the heart of Holguin City; this villa offers you personalized service, really good food and a chance to get a complete rest in its inviting rooms. 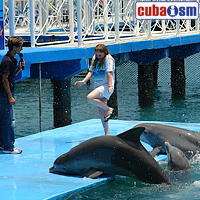 During the day, choose among scores of recreational options and participation games. Evenings are filled with the magic of the music of your choice. 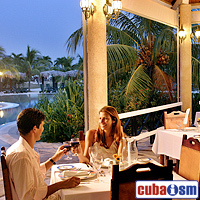 Here you can check hotel availability and make a reservation. 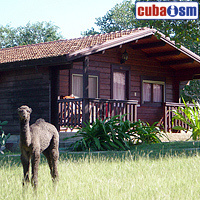 Visit our website Villa El Bosque for a detailed information. The luxurious, all inclusive Hotel Paradisus Rio de Oro is located in a truly privileged position, in a natural environment of white sandy beaches, in front of one of the world’s most beautiful barrier reefs. 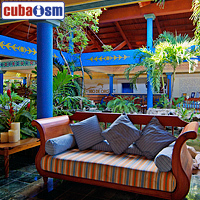 This hotel is for you if you would like to spend your days in Cuba is style and luxury! 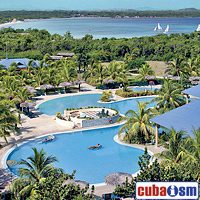 Marvellous 5 star Paradisus Rio de Oro Hotel is inside the Bahia de Naranjo Natural Park, in the... 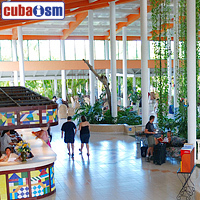 Here you can check hotel availability and make a reservation. 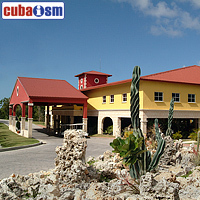 Visit our website Hotel Rio de Oro for a detailed information. 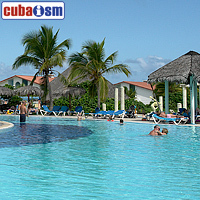 The well-kept facilities in the hotel Blau Costa Verde Beach Resort holiday complex, with its amazing swimming pool built-in to the natural setting, are located in the east of Cuba, on the seafront next to the fine white sandy beach of Playa Pesquero and are surrounded by luscious tropical vegetation.The natural environment is fully incorporated into the Beach resort where the colour green shines... Here you can check hotel availability and make a reservation. 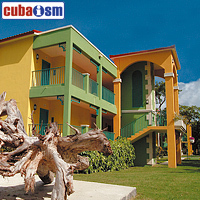 Click here to get more information about this hotel. 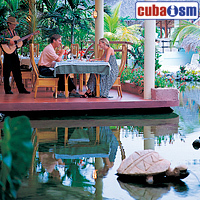 The recently renovated Hotel Sol Club Rio de Luna is located in a setting of unique beauty alongside Playa Esmeralda. 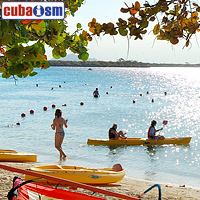 This idyllic spot is considered priveledged because of its ecological attractions which make it an ideal place for those who wish to be in contact with both nature and the sea. 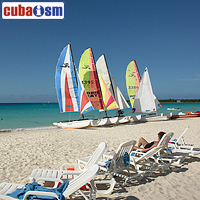 This All Inclusive hotel offers an array of services and fascinating attractions. For example, a wide... Here you can check hotel availability and make a reservation. 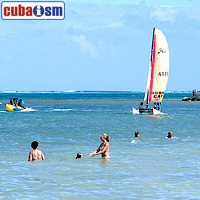 Visit our website Hotel Rio de Luna Mares for a detailed information. 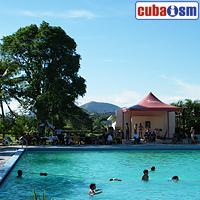 3 star Hotel Cubanacan Villa El Quinque is located only 10 km from Holguin. 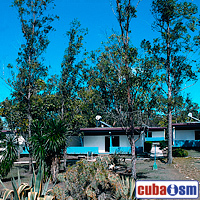 As well as hotel Villa El Cocal, El Quinque is not opened for tourism but working in conjunction with health services offering treatments to combat drug addictions. Here you can check hotel availability and make a reservation. 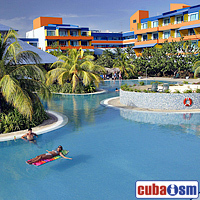 Click here to get more information about this hotel. 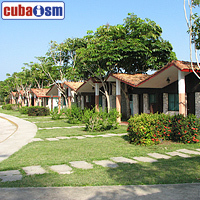 Hotel Cubanacan Villa El Cocal is a 2 star hotel in Holguin, South East of Cuba. 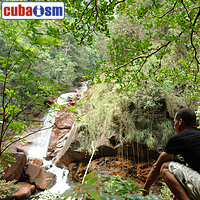 El Cocal is surrounded by beautiful gardens and exuberant vegetation and is very easy to access by road. 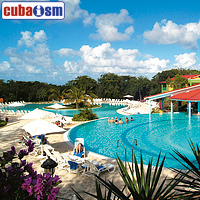 It is 2 km from the International Airport and 10 km form the shopping mall of Holguin.Facilities of the hotel include a swimming pool, gym, restaurant and other. 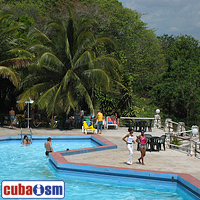 Currently Hotel El Cocal is not operating for... 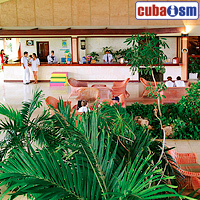 Here you can check hotel availability and make a reservation. 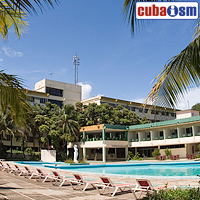 Click here to get more information about this hotel. 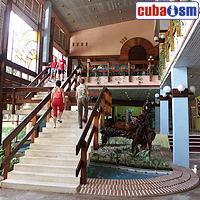 Hotel Islazul Miraflores is the only hotel in the city of Moa which is just 43 miles from Baracoa, Eastern Cuba. 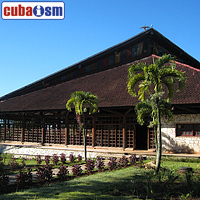 It is a 4 story building located on a hillside in the west part of Moa and is surrounded by the sea and the mountains. Hotel is very basic, only 2 stars and offers its guests 100 air-conditioned rooms equipped with telephone, satellite TV and radio. 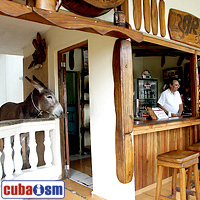 Hotel facilities include a bar,... 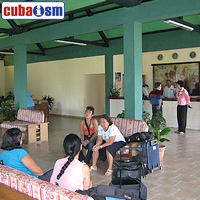 Here you can check hotel availability and make a reservation. 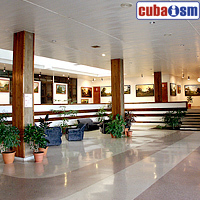 Click here to get more information about this hotel.